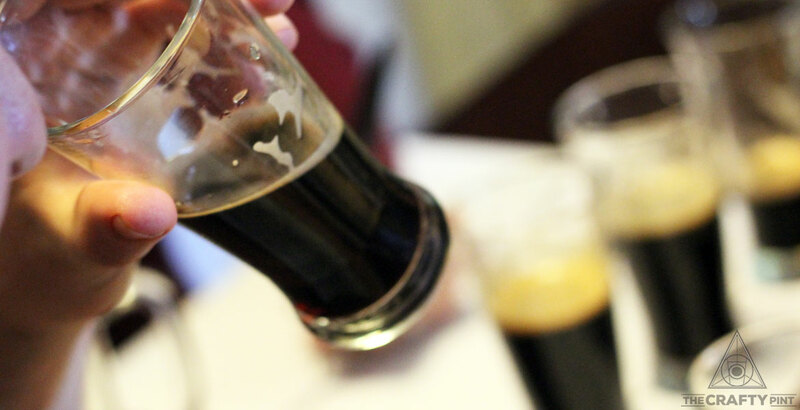 Of all the blind tastings we've done at The Crafty Pint over the years, there was arguably none more eagerly anticipated – by both tasters and readers – than our look at imperial stouts in 2013. Four years later, we returned to the biggest, blackest and boldest of beer styles for another round of Getting Blind With Crafty. Back in 2013, the number of locally brewed versions was relatively limited so we included multiple vintages of some beers. This time around, with more imperial stouts being released by Australian brewers every winter, we looked to whittle the lineup down to a manageable number. We omitted all barrel aged versions, only included the most recent releases* and excluded those with ingredients likely to nudge them into the specialty category at a formal beer awards competition. Furthermore, as with last time around when we looked at hoppy reds and ambers, we put a long list of potential beers up for a public vote and took the top ten from that poll. We then used five "dealer's picks" to complete the lineup. With a strong Victorian bias in the readers' ten, perhaps unsurprisingly given more imperial stouts are brewed by Victorian brewers than any other state, we looked to use these picks to involve other states. Unfortunately, the beer we hoped to represent Queensland, Bacchus' Brumalia, was sold out, but the other five all had skin in the game. There were a couple of beers, including Little Creatures' highly rated Dreadnought, we were unable to get hold of, while the number of beers tasted ended up swelling a little to 17 after one of our panellists discovered they were able to get a bottleshop-packaged version of what was otherwise a draught only beer – one that had won gold at this year's Australian International Beer Awards – and we decided to sneak in one international representative too, given the beer had come top four years ago. For those of you new to Crafty Pint blind tastings, you can read how we go about running and scoring them here. As in the past, the team was made up of a combination of brewers, beer writers and other people working in and around the local beer industry. If you look at any online, crowd sourced beer rating system, the chances are high that any best of list will be heavily stocked with imperial stouts. There's an argument that this is, in part, because such beers pack such a punch in all ways, and possess such a depth of flavour, that they impress even if they're not as well made as a simpler, lower ABV beer. What's more, there's more noise with which to smother any faults. At the same time, one could argue that when brewers decide to release such a statement beer they are going to pour blood, sweat and tears into it. 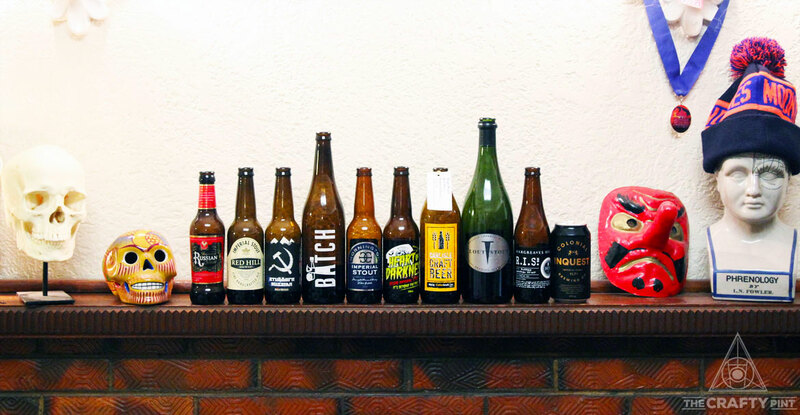 Either way, perhaps the most noticeable take away from the results here is just how highly most of the beers scored. Sure, with the panel's makeup tending to fluctuate slightly from sitting to sitting – we had two debutants this time around, for example – and our instruction to judges that they can score as generously or harshly as they like as long as they, as individuals, are consistent throughout, it means comparing one panel's results to another is far from an exact science. However, it's quite something when some of the beers that fall outside our top ten (see below) received scores out of 25 that would have placed them in the top five in the majority of the other tastings we've held over the years. Indeed, a look back over those years shows only the first imperial stout blind tasting resulted in so many beers with such high scores. Also worth pointing out is the fact the scores were so close that we had five cases in which two beers shared the same score, while a mere three points out of a possible maximum of 150 separated the beers in third equal and seventh equal. As for the beers that finished on top, well, perhaps it's only appropriate with such a classic beer style that the top two spots went to a pair of classics from here and abroad. * On the day of tasting, we noticed we'd picked up an older vintage of Murray's Heart of Darkness but, given it had received so many votes in the public round (and a few more than its stablemate Wild Thing), we decided to keep it in the lineup. ** The Sea Devil was a draught only release, but Cellarbrations Carlisle package some draught beers into bottle so we figured, given it was an AIBA gold medalist, we'd include it. All in all, some cracking beers in a lineup in which Courage Imperial Russian Stout – the beer with a heritage that stretches back to the very first imperial stout ever brewed – managed to go back-to-back and Australia's longest continually brewed imperial stout from Red Hill finished a mere one point out of 150 behind in second. There are now a couple of ways in which readers can try this for themselves. First up, on August 23, we'll be back at Tallboy and Moose for a public version of this tasting. Given the size of these beers, this time around we will be tasting nine instead of 12 beers. You can find out more and book tickets here. As with the reds and ambers tasting, Carwyn Cellars is also putting together mixed packs featuring the beers that will appear at the public tasting to send to anyone who would like to try this at home. We'll be back with two more tastings before the year is out. You can check out past blind tasting features here. Thanks to our panellists for giving up a Saturday afternoon once more and to Moon Dog brewer Adrian McNulty for hosting. Normally, we've held these tastings at Temple Brewing but it felt appropriate to sample such beers in a house whose previous owners designed the lounge to be like a crypt and whose current owner lined up a playlist featuring the likes of Neurosis, High On Fire, Electric Wizard and Conan to keep things suitably dark and intense.